Open tunings are a great way to develop your creativity on the acoustic guitar, introducing a whole new world to your playing from which you can have loads of fun exploring. However, many people tend to shy away from open tunings believing they have to learn the guitar all over again, and that it’s all too hard. This just simply is not true, and it is my intention with this article to show you how cool and easy it is to get some open tunings into your acoustic guitar playing, so that you sound great using them straight away! First a brief explanation. Open tunings are when you alter the tuning of certain strings on your guitar so that when you play them all open they sound out a particular chord. For example, if I alter the 6th, 5th, and 1st strings of my guitar to a D G and D note respectively, I would end up with what is known as an Open G tuning. This is because all my open strings are now notes from a G chord. There are other types of tunings in addition to open including modal, instrumental, and dropped tunings. These all fall under the banner of “alternate tunings” for your guitar playing. Let me share with you 5 things you must know about open tunings so you don’t miss out on the great sounds and nuances the acoustic guitar has to offer, and your playing has to benefit from, big time! I avoided learning any type of alternate tuning, including open tunings, with my own playing for a very long time. Because I thought it was enough work just to learn to play guitar in standard tuning, let alone adjusting strings so everything I had learned now no longer made sense. It all just seemed too hard to me. I felt like I would be learning the guitar all over again. How wrong I was. Don’t make the same mistake I did! For a start, playing in another tuning does not mean the technique you have developed in the time you’ve played guitar, suddenly disappears. So it can’t really be like beginning all over. This means a lot of the fretboard will still be familiar to you in an Open G tuning. In fact 50% of it remains unchanged. Open tunings actually make a lot of things EASIER to play than if you were try them in standard tuning. They are designed to your advantage and without them you are only realising a very small percentage of the acoustic guitars potential. Not only do open tunings often relate closely to standard tuning, they can also relate very closely to each other. This means by becoming familiar with one open tuning, you can also become fluent in another open tuning by making very minor and very simple adjustments. These are 2 of the most commonly used open tunings on guitar and there is only one string/note difference between them. So anything you learn in an Open D tuning can very easily be adjusted and used in DADGAD tuning. This transfers across nicely when applying these chords in a progression. 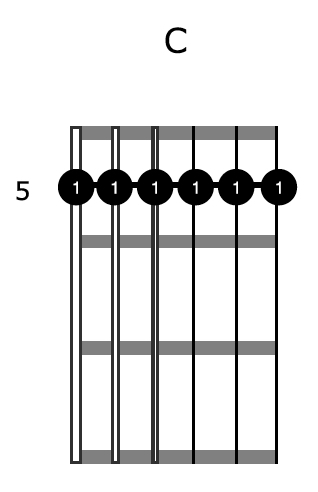 Compare the two progressions below to see how similar two open tunings can be. As has already been stated, learning a bunch of different open tunings is not like having to learn your guitar all over again. This is an important point to make as it turns many people off even trying to play in open tunings, like it did to me. On the contrary if you have been playing guitar for just a little while and have basic techniques down such as strumming, chord changes etc, then open tunings are often easier to play in than standard tuning. Open tunings are all about adjusting the tuning of your guitar to make it EASIER to play certain things, not harder. The example above is very simple to play with a droning low D string throughout while playing a simple melody on the top string. You could easily improvise using this idea. Natural harmonics sound great in DADGAD tuning too as you can hear at the end of this example. Drop D tuning is a type of alternate tuning for your guitar. It involves dropping either your low, bottom E string down to a D note, or your top E string to a D. While dropping your 6th string down is the more common of the two, they both serve as a very effective way to ease into open tunings. Notice that Open G, Open D, and DADGAD tuning, 3 of the most commonly used tunings on guitar, all have D notes on the 6th and 1st strings. By becoming familiar with drop D tunings, you would then only need to make slight adjustments when moving to any of these 3 tunings. So, if you prefer, experiment with these drop tunings first and you will find it even easier to make the transition across to open tunings. While we have focused on Open G, Open D, and DADGAD tuning for this article, there are many other open tunings to consider when it comes to your acoustic guitar playing. Many of these tunings make things like scale runs and licks very symmetrical, and thus very easy to play. As you can see, this is a particularly symmetrical tuning, as lot of open tunings are. Play around with these ideas and see for yourself how easy it really is to create stuff with them on the spot and sound great! Using a backing track in C would be a good idea while doing so, to give you some context. As you can see, you are leaving A LOT on the table as an acoustic guitar player if you ignore open tunings. They really aren’t hard or intimidating as a lot people believe them to be. You don’t have to go to the nth degree with these tunings in your playing either. You may only focus on a couple and use them occasionally, or you may go the whole bit and use many of them, often. Check out this free downloadable ebook/audio and learn on a much deeper level how to play your guitar in DADGAD tuning.